Now that winter is at its end and Spring is beginning its reign, now is the best time to work on those home improvement plans you’ve been talking about for the past couple of months. The following projects are perfect for a Spring home makeover and can also add resale value to your house. 1.) Update your Rain Gutters: Without rain gutters, our homes are defenseless against the raging rain storms. The water from rain could erode the soil around the foundation, splash dirt onto the siding of the house and leak into the basement causing internal damage to the house. Modern covered gutters cut maintenance to a minimum – no more climbing the roof to clean out the clogs. 2.) 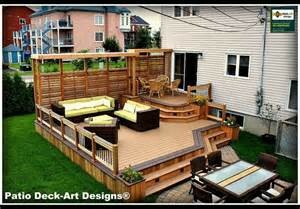 Build a Deck: Decks allow you to fully enjoy the sun and serve as a great place for socializing and dining. Decks come in all sizes and can be built in a short time with pressure treated wood that withstands everything the weather can throw at it. 3.) Add a Hot Tub: Did you know the ancient Egyptians were big fans of hot tubs? Treat yourself like a Pharaoh this Spring. Hot tubs are calming after a long day and provide a fun social setting and major health benefits. 4.) Update the Siding: All winter long you were inside keeping warm, while outside your house’s exterior was enduring the winter’s harsh temperatures and intense weather conditions. Have your siding inspected and consider replacement with today’s great looking, high performance, energy efficient vinyl siding options. 5.) Install an Enclosed Porch or Florida Room: You don’t have to live in Florida to enjoy an enclosed porch addition. Create a three or four season living space with energy efficient windows that make full use of the sun and create a window on the outside world. Professional Contractors will help you plan your porch addition and execute the project to the highest standards in the industry. Bring the Sunshine State to your home with a Florida room this Spring. 6.) 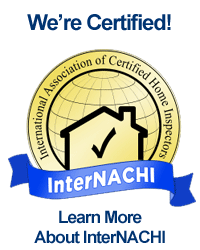 Have Your Air Conditioner Inspected: Summer follows Spring and we’re going to need our air conditioners more than ever. It’s a good idea to have your central air conditioning system inspected before it starts to get hot. Your air conditioner not only keeps your home cool during the hot summer months, it also dehumidifies your house and keeps mold from developing inside the walls. During the inspection, ask about installing a UV light inside the air conditioner to keep mold and other germs from developing. 7.) Repairing the Roof: This year’s snowfalls took a toll on roofs. Your home’s roof may have suffered damage such as moisture seeping in between the cracks and creases. Curling, peeling and even disintegration of the shingles can occur if the roof is not inspected and repaired by a professional roofer. A skylight is always a great idea for your home, but not the kind of skylight provided by a damaged roof. 8.) Install Skylights: Skylights can dramatically increase the amount of light in your home, creating an open, sunny feeling in your favorite living space. Installing a skylight in your roof on your own can be a difficult job and leaks can be a problem if not professionally constructed. 10.) A New Mailbox: This is an incredibly simple way to add to your house’s sidewalk appeal. 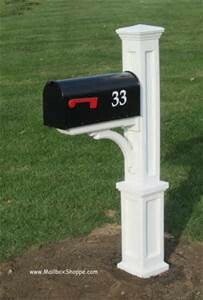 A new mailbox that complements the style of your home gives a clean and welcoming look to your home’s entrance.